USB to RS422 or RS485 industrial Serial Adapter. 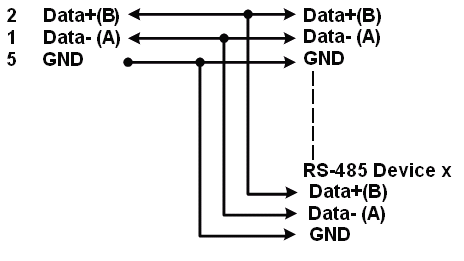 RS-485 Data direction is controlled by the port without the need of software. The adapter is recognized as a standard COM port, port can be assigned. Adds 1 RS422 or RS485 High-Speed serial connection to your system. Recognized as a Standard Windows COM Port that can be reassigned a different port number. Baud rates from 300bps up to 921Kbps supported. Designed to reduce system load when in operation. The Single USB to RS422 Serial Port Adapter with the 128 byte FIFO allows high-speed communication, even in heavy loaded systems or systems without native COM port access, unique features reduce the system load. The serial port adapter also allows unusual speed settings like 500.000bps. Bus-powered. No external power supply needed. The RS422/485 single port serial adapter has certain accessories that work with it. These accessories are what you can order if needed.